ATREE’s Regional Initiatives work closely with local communities to generate knowledge and contribute solutions that are pertinent to and usable by them. ATREE’s EH aims to develop multi-functional landscapes in Northeast India that protect biodiversity, maintains ecosystem with integrity and promotes the well-being of its people. ATREE’s interventions in the Eastern Himalayas target strategies for development that foster biodiversity conservation and human well-being. This initiative establishes economically and socially empowered local communities, resilient institutions, and human resources to meet the environmental challenges. 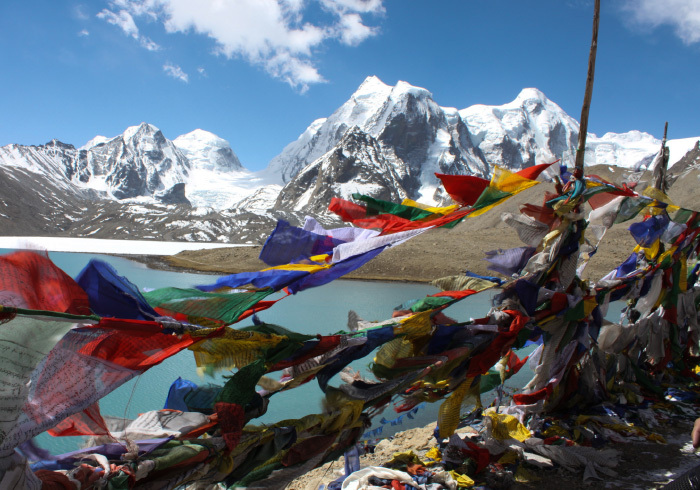 This project aims to understand how Eastern Himalayan social-ecological systems can be managed and governed to generate a sustained supply of ecosystem services and support associated livelihoods without impairing key ecosystem attributes and functions (e.g. nutrient cycling, groundwater recharge and biodiversity). Preliminary interactions with communities revealed that communities living in the proximity of reserved forests and protected areas such as the Singalila National Park and Senchel Wildlife Sanctuary are highly dependent on the ecosystem services of the forest ecosystem in the form of various tangible benefits such as the provisioning of fuelwood, fodder, clean drinking water and intangible benefits through the aesthetics of biodiversity appreciation and recreation services. The framework includes the measurement of the condition of forests in terms of desirable ecosystem functioning to understand how ecosystem services support or constrain the achievement of human well-being such as bodily health, aspirations and concern for other species and whether households are able to achieve a minimum level of these capabilities. It also considers whether the achievement of well-being ensures sustenance of ecosystem process and functioning for a continued flow of ecosystem services. The research highlights some of the key social attributes and functions such as adaptive governance, transformability, learning and capabilities that are necessary for maintaining resilience in the face of changes such as land-use, climate and uncertainties in form of shocks and disturbances. The Eastern Himalaya component of this project, funded by the US Agency for International Development, focuses on managing forest ecosystems and societal interactions with the forest in the face of global environmental and economic change. The project focuses on two protected areas in Darjeeling Hills, the Singalila National Park (SNP) located in the western part of Darjeeling district, designated a National Park in 1992 and Senchel Wildlife Sanctuary (SWLS), located on the outskirts of Darjeeling town was designated as a Sanctuary in 1915. Foregrounding the objective of active participation of the community in managing forest resources, the project on the Eastern Himalayan region documents the climate and land use patterns to introduce various methods and techniques for improving the resilience of agro-ecosystems in mitigating climate change and biodiversity loss thereby enhancing and restoring biodiversity in forests and agro-ecosystems. Despite the reliance of communities on non-timber forest products, the improvement of forest conditions is sought by introducing improved cooking stoves to decrease the use of fuelwood. Investments are made towards the development of skills for off-farm employment enhancing rural incomes thereby withdrawing reliance of communities on forest resources. Towards strengthening systems of forest resource management, the project focuses at policy initiatives bringing together local communities, non-governmental organizations and state government agencies to strengthen efforts towards decentralized and participatory governance. The Project funded by Karl Kubel Stiftung is a step towards promoting conservation of the rich biodiversity of Manas through positive community interactions and sustainable development. The project aims to enhance livelihood sustainability of local communities dependent on the resources of Manas through three focused approaches (i) institutional development, (ii) climate-smart sustainable agriculture (iii) mitigating human-wildlife conflicts. The Project has collaborated with different sections of the society including universities, training institutions, government departments, local councils like Village Council Development Committee (VCDC), environment organizations, local and regional NGOs, resource persons and experts to work together for the common goal of sustainable development of the communities and conservation of the rich biodiversity of Manas. Various local institutions like Eco Development Committee (EDC), Self Help Group (SHG), Farmers Group (FG) and local NGOs have been formed and or strengthened by the project. The main purpose of strengthening these institutions is the creation of a platform for villagers to plan and execute development interventions and or conservation issues. Sustainable and climate-friendly agriculture includes sensitisation for piloting new techniques like system for rice intensification, multi-cropping, horticulture, soil management, environment-friendly techniques. Villages located around Manas landscape are most vulnerable to crop depredation by wildlife like, elephants, wild boars, etc. Crop depredation leads to economic loss of cash crops and food insecurity due to loss of food crops. The project has initiated various mitigation measures such as the construction of watch towers in appropriate places for communities to ward off large mammals, forming bio-fencing through citrus and Sijou (Euphorbia splendens) plantation. Alternative livelihood supports are also provided to the communities in areas with intense crop depredation by wildlife which include horticulture, (especially fruits for income generation), apiary, vegetables (polyhouses), mushroom cultivation and medicinal plants cultivation. Tourism in red panda landscape looks into the challenges faced by nature tourism permitted in the red panda habitats of Darjeeling–Sikkim Himalaya for implementation of appropriate strategies to promote sustainable and responsible nature tourism. Our assessment of tourism in Singalila National Park, Neora Valley National Park in Darjeeling has generated an explicit understanding of challenges to sustainable and responsible nature tourism in the red panda habitats. Assessment findings from Singalila National Park seek to strengthen management strategies for sustainable nature tourism. Seven local guides are now being intensively trained as Master Guides who would then train other guides in the region through the project. Interpretation materials like posters have also been developed. 12 mounted posters on Singalila were recently handed over to the Darjeeling Wildlife Division, Department of Forests, the government of West Bengal. Work on the critically endangered Chinese Pangolin in areas outside Protected Areas is assessing the status of the Chinese Pangolin, Manis pentadactyla, in tea plantations of Darjeeling and conducting extensive awareness programs, awareness materials, and promoting commitments to protect the species. Further to this, the ongoing project will be setting camera traps for the species to better understand the ecology of this highly threatened and elusive species. Work on the dietary use of wild edible fruits by the local community and the hornbills in the lowland forests of Darjeeling Himalaya has documented 70 species of wild edible fruits, three species of hornbills from the Neora Valley National Park and its surrounding areas. A wild fruit dietary overlap of 44% between the hornbills and the local community was found. Awareness programs for local school children were held and now a booklet on the wild edible fruits of the region is being developed. Despite Northeast India being an area rich in biodiversity and endemism and holding a large number of rare species that are now under serious threat much remains to be documented. The general public along with scientists and researchers can play a vital role in documenting this rich biodiversity and sharing this information through a web-based platform. The India Biodiversity Portal (IBP) is an open-access biodiversity informatics platform that seeks to aggregate biodiversity information for India through participation. Launched in 2008, the platform currently has nearly 8,000 registered users comprising of experts and enthusiasts. North East India Biodiversity Portal (NEIBP) was launched as part of the larger India Biodiversity Portal. A year-long campaign through 13 workshops was held in all the 8 Northeastern states and North Bengal India with 315 participants garnered support for this movement of biodiversity documentation. Before the launch of NEIBP in September 2015, there were 8,605 observations from Northeast India on IBP. Since then, more than 20,000 observations have been contributed by users and a wide network of stakeholders has been formed who are partnering with ATREE to document the rich biodiversity of the region.